See what’s happening on campus and join us at upcoming events. Right in our backyard, the annual World Food Prize hosted in Des Moines is a week-long set of events drawing over 1,000 participants from over 50 countries and is the foremost international honor recognizing achievements in improving the quality, quantity or availability of food in the world. Maria Andrade, Senior Sweet potato Breeder from the International Potato Center, was recognized as a 2016 World Food Prize laureate for her research in breeding disease-resistant, drought-tolerant, high yielding varieties of orange-fleshed sweet potato (OFSP) has countered the devastating effects of Vitamin A deficiency, diarrhea, immune system disorders, and premature death in children and pregnant women in Africa. Notably, she initiated the root and tuber crops program in Cape Verde Islands in 1984 and released 9 OFSP varieties in 1999, 15 drought-tolerant in 2011 and 7 in 2016 benefiting over 1 million households. Her work has incorporated both socio-market and agro-processing strategies to ensure a sustainable program for the long term to address food insecurity, malnutrition, and income generation. 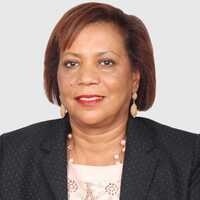 She is also in the board of Directors of Alliance for Green Revolution in Africa & Micronutrient forum. She also received an award for the environment in India in 2017, and in 2019 she will receive the woman of year award in Cape Verde Islands.